1. Examine all factors considered for the design and operation of a marine law enforcement system; 2. Illustrate key components of an enforcement system and evaluate surveillance technology and patrol equipment options; 3. Guide managers in the design and implementation of an enforcement system. In summary, it aims to equip managers with the tools needed to strengthen fisheries management and design enforcement systems that are practical, affordable and feasible to implement in a timely manner. Fisheries enforcement requires a holistic approach that accounts for surveillance, interdiction, systematic training, education and outreach and lastly, meaningful sanctions. 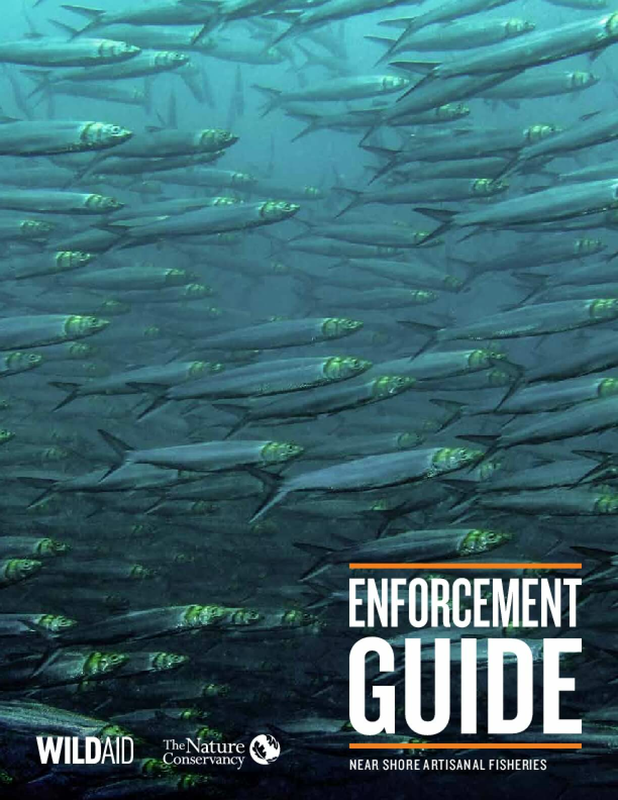 Although it explores many surveillance technologies and management tools, this guide more importantly provides a blueprint for the capacity building and professionalization of enforcement officers, who truly are the core component of any fisheries enforcement program. Copyright 2015 by The Nature Conservancy. All rights reserved.